But the president is not the only one getting Wisconsin wrong. Assumptions based on fleeting impressions have long led outsiders to misinterpret what goes on between Lake Michigan and the Mississippi. Enter Dan Kaufman, who grew up in Wisconsin and now writes for magazines in New York. In The Fall of Wisconsin: The Conservative Conquest of a Progressive Bastion and the Future of American Politics (Norton), he tries to explain what happened in 2016 as part of a far larger story. His message is twofold. First, he explains that the shock of Trump's win in Wisconsin in 2016 was misplaced. Yes, Obama had won there twice, but his wins stood in stark contrast to what was going on in the state during his years in office — a drastic rightward shift in the state's power arrangements from the top statewide jobs to the local precinct level. Second, Kaufman argues that what's been happening in Wisconsin has historical significance because it made the state a model for conservative activists who, with corporate backing, were remarkably successful in reversing the state's deeper tradition of progressive populism that dates from the 1800s. Even casual students of history have heard of Robert La Follette, champion of the common man and longtime statewide hero. The original "Fighting Bob" served as governor, senator and presidential candidate in the early 20th century and remains a beacon to progressives today. Some also know that Milwaukee routinely elected socialist mayors for nearly half a century. But Wisconsin's political history is nothing if not complicated and often contradictory. The state that produced "Fighting Bob" also gave the world Joseph R. McCarthy, the notorious red-baiting senator who made "McCarthyism" an epithet. The state that sent to the Senate Gaylord Nelson, the father of "Earth Day," also elected Sen. William Proxmire, the maverick known for his "Golden Fleece awards" that pilloried government waste. And the state's current brace of senators, Republican Ron Johnson and Democrat Tammy Baldwin, share little in common beyond the state flag. 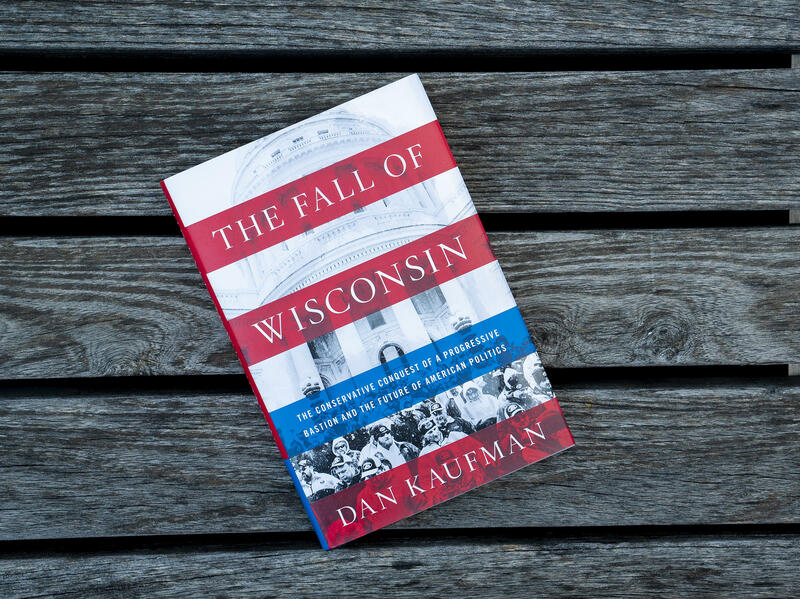 Kaufman does include in these pages some of the elements of Wisconsin history that further cloud its image as a "progressive bastion." There were generations of fierce resistance to unionization, strikes that lasted for years, violence that took lives. He even unearths a particularly eye-opening episode in the 1960s, when Alabama's segregationist Gov. George Wallace came to the state and did rather well in the Democratic presidential primary – not once but twice. Perhaps no one can reconcile all this and establish a single narrative for the Wisconsin story. And Kaufman does not try to disentangle all the strands of populist versus intellectual progressivism. Instead, his account returns repeatedly to the trials of the present moment. That more contemporary story begins as Republican Scott Walker wins the governorship in 2010, the Tea Party year, running against Obamacare and the Democratic power structure in Madison, the state capital. Walker would drive legislation known as Act 10 to take down the public employee unions (including their right to collective bargaining). He would then survive a recall, win re-election and push new legislation to make Wisconsin a right-to-work state in 2015, breaking a promise he had made to the private sector unions. Kaufman spends relatively little time on the cities of Milwaukee and Madison, taking the reader instead to South Wayne and Ashland and Baraboo Hills. Here is where he finds the roots of what has been happening to Wisconsin politics and where he spreads his conclusions farther across the political landscape. The lens widens to take in the struggles of the Upper Midwest, the hollowing out of small-town America and the complicated ways in which working people sometimes work against their own best interests. In this regard, Kaufman's work belongs with well-known recent studies such as J.D. Vance's Hillbilly Elegy and Arlie Russell Hochschild's Strangers in Their Own Land — examinations of alienation among rural (or until recently rural) Americans. Kaufman finds much the same core values and deep resentments in the Upper Midwest that these authors have found elsewhere. But Kaufman is not satisfied with blaming the people's anger alone for what has happened in Wisconsin. He explores other more deliberate and systemic factors that dragged down Clinton and other Democrats in recent election cycles. He argues that Walker's voter ID law suppressed turnout in Milwaukee and that the influx of money from conservative political action committees taking advantage of Citizens United inundated candidates at the local and statewide level. For example, he reports the Democratic candidate against Walker in the 2012 recall election spent $4 million to Walker's $30 million. Perhaps the one issue that recurs most often in Kaufman's diagnosis is the near extinction of unions as a political force. Private sector union participation was down to 8 percent by 2016, he says, and those who remained were not nearly numerous or generous enough to compete with the GOP's coffers. Kaufman marshals copious data in making his case. But his story comes to life through his profiles of key players in his home state. Most are progressive Democrats or activists who have been resisting the state's rightward shift for years. These include current and former legislators such as Tim Cullen and Chris Taylor and candidates who ran quixotic challenges to entrenched incumbents. One whose name may already be familiar is Randy Bryce, an ironworker who grew up in Milwaukee and now lives in the congressional district of Paul Ryan, the speaker of the House. Bryce had been running a long-shot campaign against Ryan this year until the speaker decided to retire. Now Bryce, known as "IronStache" for his facial hair and social media handle, has at least a chance to go to Washington. Bryce is an Army vet, raised by a Milwaukee beat cop as a conservative. As an ironworker, he has helped build some of the iconic structures in his original hometown — the ballpark, the Harley-Davidson Museum. But he was politicized by veterans' health issues, then by labor issues and finally by Walker and the campaign against unions. He took part in the massive protests that tried to block Act 10 in the Legislature and he tried to rally organized labor against Walker in his subsequent campaigns. We do meet a few Republicans. One is Eric O'Keefe of the Wisconsin Club for Growth, who has been involved in the Republican revolution of the past 10 years and makes a case for lower taxes and paring back the power of public employees. Another is Dale Schultz, who represented a rural southwestern Wisconsin district in the state Senate for decades but bailed out after resisting Walker. Schultz provides a pithy analysis of what happened in the fall of 2016, recalling how many of his constituents were attracted to Bernie Sanders: "Once [Sanders] was out and it was just Hillary and Donald Trump, the anger shifted over and got behind Trump because they didn't care. They just wanted to crush the establishment." In his final chapter, Kaufman returns to the quotation that begins his book. It is from Edward G. Ryan, who was Wisconsin's chief justice in 1873 and foresaw the protracted struggle of the next century and a half with striking clarity. The question will arise ... Which shall rule: wealth or man? Which shall lead, money or intellect? Who shall fill public stations, educated and patriotic freemen or the feudal serfs of corporate capital? Kaufman's overarching point is that this question from 1873 is not asked once and answered. It is a question posed repeatedly in every generation, and every generation must provide its own answer.